and clears the way for the new. 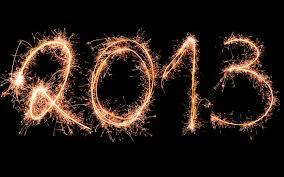 I don't do New Year resolutions, but I have said to myself that I should try to take back control of my time. Perhaps I should say try to make better use of my time. Do more of the doing and less of the sitting on my bum thinking I should be doing (going, finishing, starting). Of course, I know those statements will both fall flat on their face with the first hot day. If I don't have to get up and go to work, I'm likely to just stay where I am, whether it be bed, couch, or chair on the porch. And take my time about getting things done. After all, there's no real rush. The washing can wait, there aren't kids uniforms that need to be cleaned and ready for school. *clink* *clink* *clink* cheers, mate! 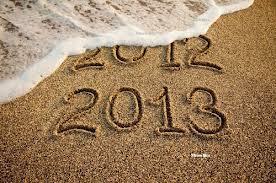 my wish for all of you is peace, love and laughter, and prosperity in 2013. One hour later, still going ow! when the upper and lower teeth touch. there's another one, way across town. checked the bus timetable, yes, I can catch this bus and be there about 3:50. I can't leave it until regular dental services resume and then make an appointment for sometime in the next month. Most dentists around here are fully booked and I don't want an infection in the tooth. my gosh it was windy! I had a fabulous day, got on the bus this morning, stayed on as it passed through town, going through another suburb my younger son and daughter got on too, then we rode the bus all the way to Glenelg beach. It's so handy having a bus that goes right across town like that. At the beach, we three met up with other family members for our Christmas lunch get together. 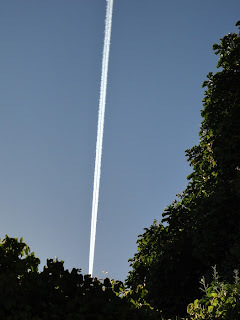 The weather was absolutely perfect, hot sun, cool wind, clear blue skies. We sat on the grass eating fish'n'chips while listening to the commentator as he described the races going on down on the sand. There was some sort of competition where contestants in various age groups ran around a course, swam a short distance, and waded through thigh high water. After the competitions were over and people were leaving the area we took a walk along Glenelg jetty. It's a lot shorter than I remember and there are no splintery boards to walk on, it has been surfaced with asphalt now. The day for the googled giggle that gets you over the hump that is Wednesday and sliding down into the weekend. Today is the last Whimsical day for 2012,Year Of The Dragon. 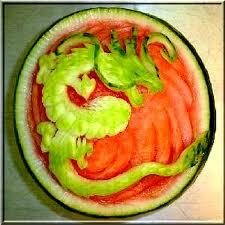 These food carvers are so very clever! I love their work, so thank you, whoever did these. 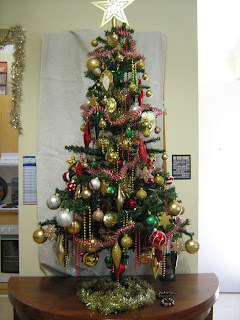 I went to Google Images, searching for a Christmas Tree to say Merry Christmas Everybody with and found so many that I really liked. and this for any Elvis lovers out there. There were plenty of traditional trees, but I thought you'd like to see some a little different. Andrew recently put up a post about his spam comments, which reminded me of mine. The first time I checked the spam folder there were over 800 comments, so I got busy with the delete button. Now that it is a more manageable size, I'll often read before deleting. Just last weekend, as I was reading through the spam, (because I like a bit of a giggle now and again), to check in case any real comments find their way there and in amongst the many, many, many comments offering me cheap short term loans, (no thanks) and cheap medications, (again, no thanks) , I found a few comments that left me a little puzzled. "....unwell unquestionably come more formerly again since exactly the same nearly a lot often inside case you shield this hike." Is this just someone practising their typing? "What a stuff of un-ambiguity and preserveness of valuable know-how on the topic of unexpected feelings." Read this little piece in The Advertiser during the last week. Three people have been arrested in connection with a huge maple syrup heist from a Quebec warehouse which had put a dent in the global supply. Authorities never disclosed the exact amount of syrup stolen in August. But the warehouse contained Quebec's maple syrup reserves, which were supposed to hold 4.54 million kilograms, valued at $30 million." I buy "100% genuine Canadian Maple Syrup", (well, that's what the label says), to pour on my pancakes. Over here in OZ it comes in small bottles of 200ml, for about $9 each, but I don't have pancakes every day, not even every week, so it lasts me quite a while which makes the cost a little easier to bear. Besides, it's the best tasting syrup. I'm wondering now what someone would do with 4.54 kilograms of syrup. What size pancake are they making? How do you get away with 4.54 kilos of syrup? I love my kindle, I really do. So many books in one tiny package. Plus, of course, the kindle user's guide. Which I have mostly ignored since reading the part about how to download the books. Every now and again, after finishing whatever book I've been reading, I'll go back to the user's guide and read another chapter of it. Sometimes it's relevant, sometimes not. 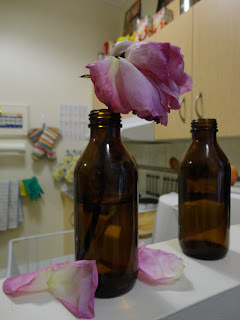 Last night I read how to make "collections" with my books. I could choose to have a romance collection, a comedy collection, a murder mystery collection, simply by selecting "create a new collection" from the menu choices and typing in a title for it. I've chosen instead to create collections based on either story characters or authors. The day for your weekly googled giggle that gets you over the hump that is Wednesday and sliding down into the weekend. 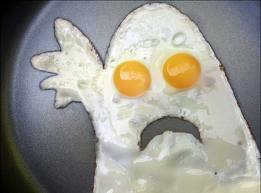 Mummy, my breakfast is scaring me! I don't remember how long ago I started on this latest attempt to lose a few kilos, but I'm sticking with it, (sort of, there's been a lapse or three), and the weight is coming off. Very slowly, to be truthful, but that was my plan. I'm too old to be crash dieting, and I certainly don't want metres of empty skin hanging like drapes from my body. So slow is the way to go and hopefully the skin will adjust and not look too baggy. I stepped on the scales on Sunday morning and for the first time in a long, long time, the needle stopped below the 70kg mark. It helps that summer fruits are now in the shops. Yes, I know they have been in the shops for a while, but first pickings are usually a little too unripe (sour) for my taste. I always wait a couple of months and get the riper, therefore sweeter, second and third pickings. Yesterday, in the rain, I was waiting in the city for a bus to take me home, when I saw a family out walking. I watched them for a while as they strolled along. Every now and then, the little boys, maybe three and four years old, would spot a puddle ahead. They would run like crazy and jump right into it. Water would splash right up to their shorts, I'm sure their sneakers must have been soaking wet, but no-one seemed to mind. The parents laughed and continued strolling along, then the boys would spot the next puddle and off they'd go again. Being a city footpath, the puddles were shallow, but they still held enough water to make a satisfactory splash as the boys jumped in. Then my bus came along, I hopped on and I rode home remembering days when my own kids had jumped in puddles all the way as we walked home from shops or school.